Fundus photography is a specialized medical imaging test used to take pictures of the structures located at the back of the eye, including the retina. It produces a series of photos that are helpful for diagnosing, documenting, and monitoring certain eye conditions. Fundus photography is a short painless procedure that is performed in a doctor’s office. The fundus is a term to describe the structures at the back of your eye, including the retina, macula, fovea, and optic disc. The retina is located at the back of your eye. The retina is a thin tissue layer that contains millions of nerve cells that are sensitive to light. Cones and rods are specialized receptor cells in the retina. Cones are specialized receptor cells for color vision and detailed vision, such as for reading or identifying distant objects. Rods perceive blacks, whites, and grays, but not colors. They detect general shapes. Rods are used for night vision and peripheral vision. The cones and rods send nerve signals to the occipital cortex in the brain, where you process and perceive vision. The greatest concentration of cones is found in the macula and fovea at the center of the retina. The macula is the center of visual attention. The fovea is the site of visual acuity or best visual sharpness. The optic disc is a blind spot located near the macula on the retina. The optic disc is the only part of the retina that is insensitive to light. Fundus photography is used to take pictures of the back of your inner eye. The highly specialized photos are used to diagnose, document, compare, and monitor eye conditions. 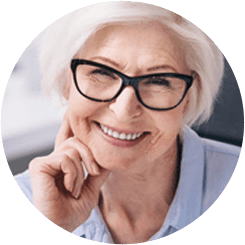 Fundus photography is used to record the condition of the retina, macula, fovea, optic disc, blood vessels, and vitreous humor, the gel-like substance that fills the inner eye. Fundus photography is performed in your doctor’s office. It is a non-invasive non-contact eye procedure. It is a short painless test. Prior to the test, your doctor will dilate your eyes with eye drops. You should tell your doctor if you are pregnant before the drops are used. You will be seated for the test. Your face will be stabilized with a positioning device for the head. You will place your chin on a chin rest and your forehead against a support bar. You will be instructed to stare to keep your eyes still. You will see a series of bright flashes while the photos are taken. 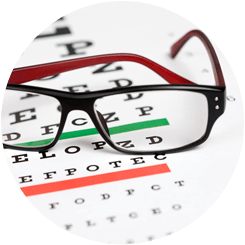 Your vision will be blurred for a short time after the test until the dilating eye drops wear off.